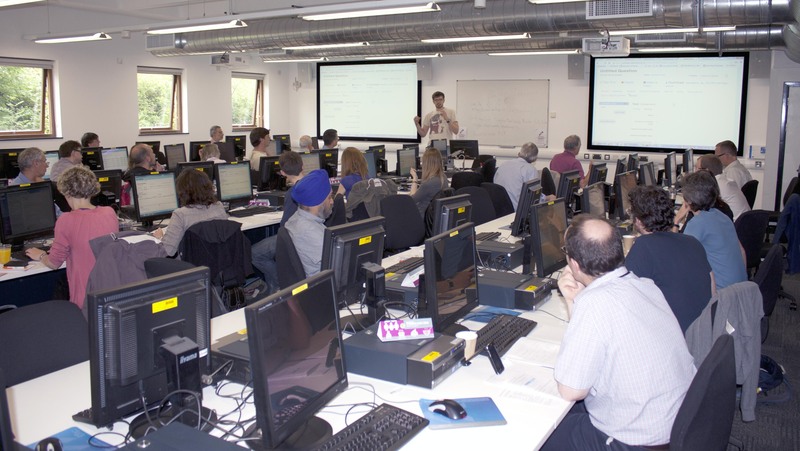 The North East and Yorkshire sigma Hub supported a workshop on 4th July 2013 on Numbas, a web-based e-assessment system developed by a team at Newcastle University. Free to use and open-source with a user-friendly interface (see https://numbas.mathcentre.ac.uk/), Numbas allows the authoring of questions which include randomised content throughout and LaTeX rendering of mathematical notation. Tests provide instant feedback to the student, including rendering of the student’s answers in mathematical notation while they type, and a practice mode which lets students regenerate randomised questions for further practice without starting a new session. Nine universities were represented: Birmingham City University, University of Bradford, University of Hertfordshire, Loughborough University, Newcastle University, University of York, University of Bath, University of Leeds, University of Sheffield, together with attendees from me MEI (Mathematics in Education and Industry) and NMJ technologies. 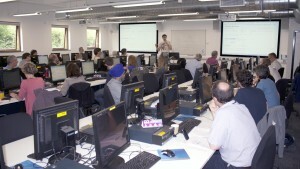 The day-long workshop, hosted by University of York’s Maths Skills Centre and E-learning Development Team and presented by the Numbas team from Newcastle University, provided an introduction and training on using Numbas and its question authoring facility.